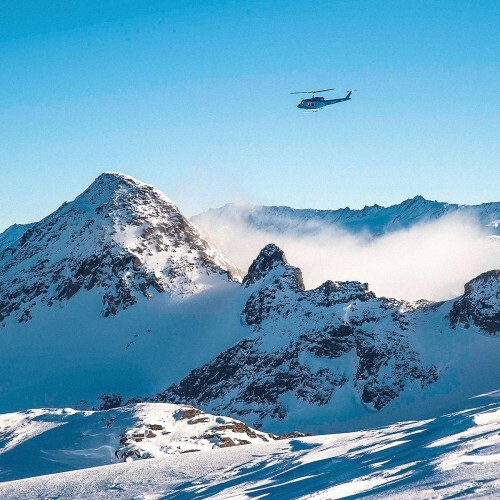 We are thrilled that you have chosen to book a heli-holiday with us! We recognize that along with the excitement, the lead up to your first visit can be a bit nerve wracking. To make things easier, we have compiled some information to help you prepare for your trip, including the answers to some frequently asked questions. What does a typical day at Crescent Spur look like? When you to arrive at your home for the week you should feeling prepared and comfortable. Below is an overview of what to expect on a typical day at Crescent Spur. 7:30am – Fuel yourself up for the day with a big mountain breakfast. 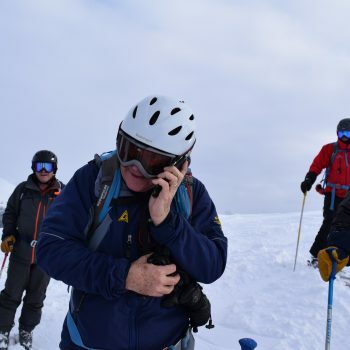 During breakfast your guides will update you on weather and expected conditions for the day. 9:00am – A typical time to make our departure into the mountains. 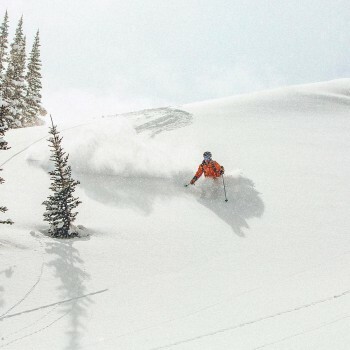 We allow weather and snow conditions to inform what we ski, as certain days are great for tree skiing, whereas others are better suited to glacier and alpine terrain. 12:00pm – Take a break to soak in the beautiful views and enjoy a mountain picnic. Recharge and prepare to take the afternoon by storm. 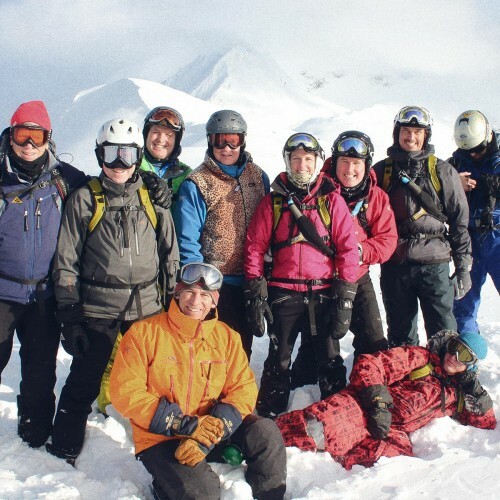 3:30-5:30pm (daylight dependant) – Feeling blissfully exhausted we head back to the lodge for après ski hors d’oeuvres, refreshments and relaxation. Enjoy a treatment with our massage therapist, soak in the outdoor hot tub, or sip the nightly cocktail feature around the bar – there is no shortage of ways to unwind. 6:30-7:30pm – A delicious dinner featuring locally sourced ingredients is served in our cozy fireside dining room. Cap the evening off with a game of pool or a glass of scotch with friends. How do I get to and from Crescent Spur? Crescent Spur is located in Western Canada, between Prince George and Jasper. Most guests fly to our nearest airport, in Prince George (YXS). Air Canada and WestJet provide daily nonstop service from Vancouver International Airport (YVR). Please call our office for specific details, before booking your flights, as our complimentary transfer only accommodates certain flights and others booked may result in a dedicated transfer fee. We ask that you arrive in Vancouver the day before your tour starts, and because of this, a room at the Fairmont Vancouver Airport Hotel is provided as part of your package. The next morning, you fly to Prince George where our bus and driver will be waiting to transport you to the lodge (drive time is just under 2 hours). We’ll have lunch ready for you when you arrive at the lodge, shortly after noon. Planning to drive here? Call or email our office and we’ll provide directions from your location. If you’ve booked a 6 Day Package, be at the lodge by 1:00 on Saturday, or 1:00 on Sunday for 5 Day Packages. This allows you time to complete your safety orientation, so you can get on skis bright and early the next day! 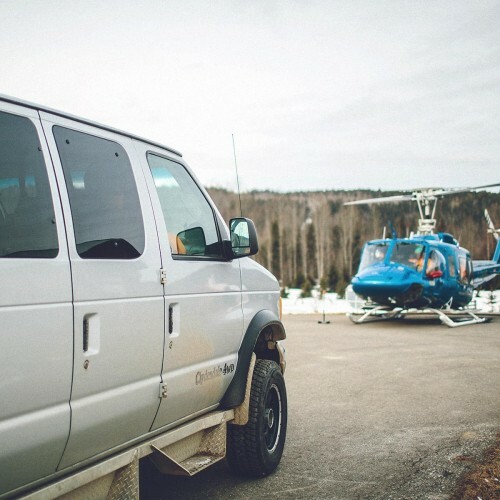 At the end of your trip, our scheduled bus will transfer you to Prince George Airport. We request you book your departing flight for the morning of your outgoing day—and recommend you allow at least 1.5 hours for your connection in the Vancouver Airport, on your return flight home. 1. 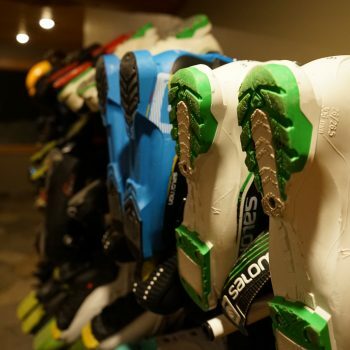 Your ski or snowboard boots! Don’t take any chances with your boots – we recommend that you take them on the plane as carry on luggage. And check that expiry date folks! 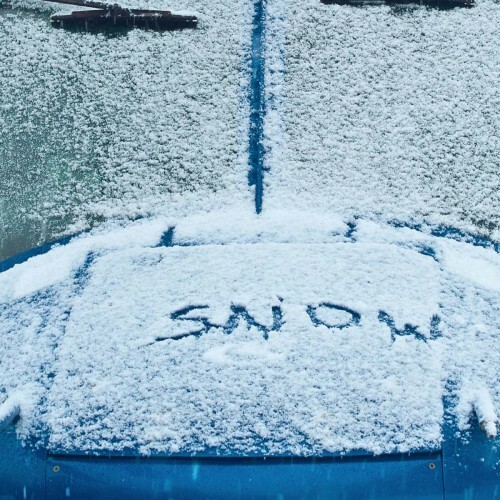 No one wants their holiday derailed before it begins. 3. Proper clothing for powder skiing. 4. Gear for off the slopes. What gear do we provide? Specialized powder skis (Rossignol Super 7’s) and poles are available for all of our guests. This equipment is selected to make skiing in powder and adverse conditions easier, and more enjoyable. We also have a small selection of snowboards available, feel free to contact us to discuss our stock. Please note that we do not supply telemark skis, so if you are planning to telemark, you will need to bring them with you. 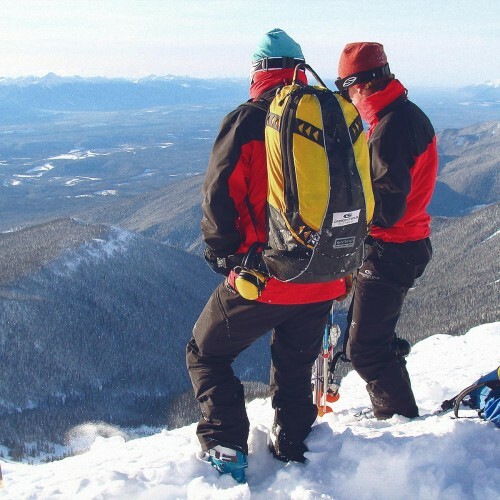 Each guest is outfitted with a Mammut Rocker Avalanche Airbag pack, a Mammut Barryvox Avalanche Transceiver and a radio. The pack contains a shovel and probe, and has limited room to carry a small item of clothing, such as spare gloves. Another small pack is supplied to carry extra layering items in the helicopter for guests. 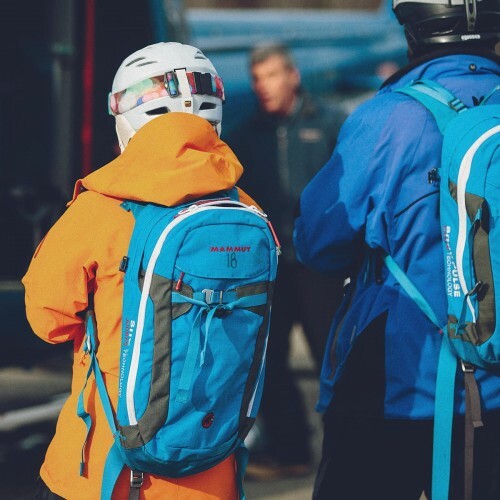 Our retail shop carries a wide range of essential items including Arc’teryx and Patagonia outerwear and insulating layers, Hestra and Arc’teryx mitts and gloves, Smith goggles and sunglasses as well as sundries and souvenirs. What should my skill and fitness level be? Skiers who get the most out of a holiday at Crescent Spur tend to be strong parallel skiers, comfortable with most runs at major ski areas. Snowboarders who visit should be comfortable in treed and open areas and able to traverse considerable distances. 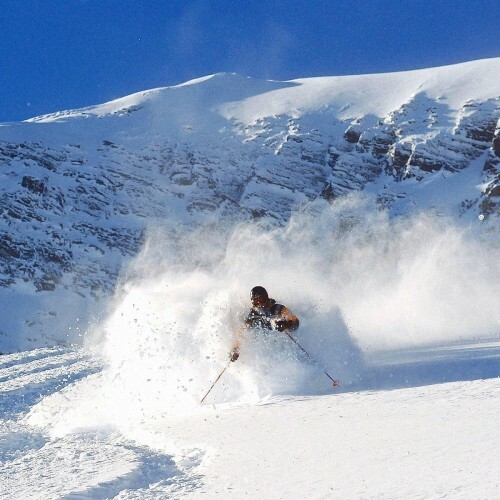 Mountain skiing and snowboarding demand a reasonable level of conditioning. If you’re generally fit and can ski at an intermediate level, you’ll likely do fine here. That said, we strongly recommend you start a fitness program at least 8–10 weeks prior to your arrival. Be sure to include stretching and aerobic exercises, as well as strength training that will increase endurance of key muscles, particularly those in your legs and core. Our terrain contains many steep runs and naturally gladed forests, which will give you a real workout. 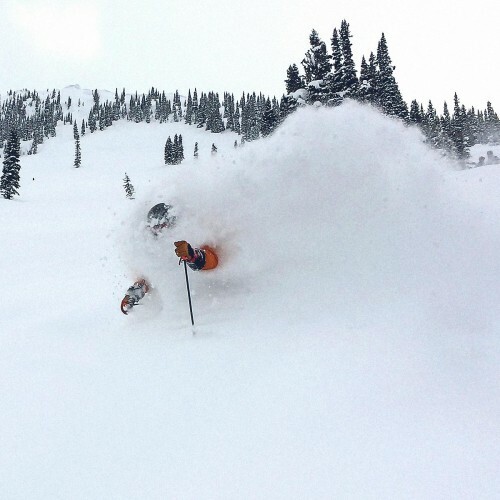 Your first day of heliskiing here is likely to be the toughest, and most feel the day’s impact in their thighs, calves, bum, groin, lower back, and stomach. The more fit you are, the more you’ll enjoy your holiday. It’s a reality of our day and age. People need to be connected. We are constantly working to improve our internet connection at the lodge, but unfortunately, our remote location limits our options. 5GB of Wi-Fi is included in your package. In order to keep access reliable for everyone we ask that you not upload large quantities of photos, or use streaming services, such as Netflix. If you are in need to consistent internet at faster speeds or larger usage, we recommend looking into bringing a Mobile Internet Device on either the AT&T or T-Mobile network. Cell service is available at the lodge, but not all US carriers partner with Telus, our local cell provider. From our research, it appears that AT&T and T-Mobile are most reliable. Version Wireless’s international connectivity map does show that devices with GSM should work on our network, but we have seen varying success with this. For best results, contact your local provider and confirm that their service is compatible with the Telus network.